Does Your Loved One with Alzheimer’s Lapse into an Alternate Reality? 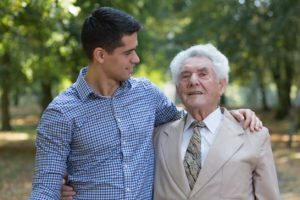 Alzheimer’s disease alters someone’s mind so that memories surrounding more recent incidents are forgotten or mixed up while memories about the more distant past often continue to be intact. This might cause past years to make more sense to an individual with dementia than the present. An individual’s alternate reality can be his or her method of making sense of the present through previous recollections. People with Alzheimer’s or another form of dementia often have problems expressing themselves, and sometimes their alternate reality has more to do with a desire or a particular feeling they are trying to express than it has to do with the things they are saying. Maintaining a diary of these kinds of events could help you figure out trends in needs. The more you tune in and pay close attention, the simpler it will become to comprehend the thinking behind the alternate reality and how to best respond. Is It Alright to Play Along? Provided that the scenario won’t be dangerous or inappropriate, it is ok to play along with your loved one’s alternate reality. Doing so will not make things worse. Remember, the person’s reality is true to him/her and playing along can make your loved one feel more at ease. If the situation is not appropriate or might cause danger to your loved one, try to reply to the perceived need while redirecting the individual to something less harmful or more appropriate. Respond to his or her need. In addition, call on the trained in-home care services of Hired Hands Homecare of Sonoma. Our caregivers are skilled in caring for those with Alzheimer’s disease and can provide respite care services for family caregivers who are in need of some time to refresh and recharge.